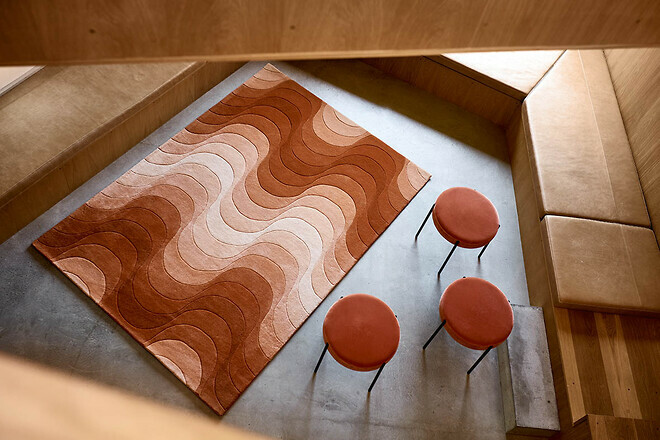 When Verner Panton (1926-1998) began drawing a stool, he believed a stool should not only be comfortable to rest your legs on, but also comfortable to sit on. In addition, it should be so light that it could be moved effortlessly from room to room. And finally, it should have four legs. Panton was otherwise fiercely opposed to furniture with legs, unless it was done to perfection, which he thought was the case with the Series 430. And so does Verpan, who is now completing the Series 430 by launching Panton's stool. To draw a four-legged stool and give it a seat that you could actually sit on was a challenge that Panton set out to solve. He did so by giving the stool four very slim legs, which he placed on the outside of the seat, so its expression would be light, almost floating. The secret behind the stool’s great comfort is found on the underside of the seat, which is fitted with elastic webbing that yields to the weight of the body, so it is soft and relaxing to sit on. 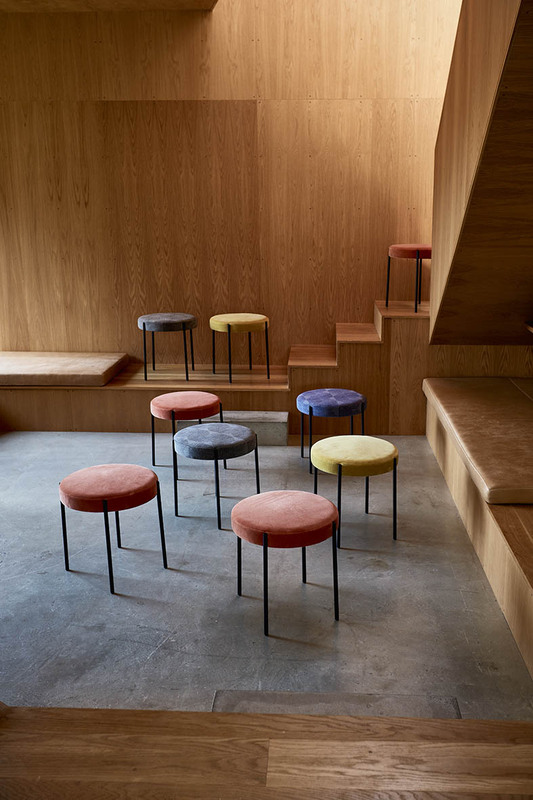 Verpan chose to upholster the stool in the ocher and orange coloured velour by Raf Simons as well as in Kvadrat’s new textile Crystal Field by Akira Minagawa in a blue and grey version. Colours that provide an elegant interplay with the black steel legs. The idea of the was that it should be the most functional piece of furniture of the collection. It should be able to move effortlessly from room to room and from function to function. In addition to being comfortable for resting your legs, it should also be so comfortable that it could be used as an extra seat in the living room, in the entrance as well as finding its natural place in the bedroom. In addition to the stool, the Series 430 also consists of a round dining table and an accompanying dining chair. Verpan chose to upholster the dining chair in the same textiles as the stool.